The National Academies have just released the Board on Science Education report on Indicators for Monitoring Undergraduate STEM Education (available at http://sites.nationalacademies.org/DBASSE/BOSE). This report is a response to the concern raised by the President’s Council of Advisors in Science and Technology that despite the many initiatives that are seeking to improve the teaching and learning of STEM subjects, we do not have effective national-scale measures of their success. The core of the charge to the committee that produced this report was to identify objectives for the improvement of STEM education, describe indicators that would inform whether or not we are making progress, and catalog what currently exists or could be developed by way of research and data collection to track progress. This extensive report provides this information. Goal 1: Increase students’ mastery of STEM concepts and skills by engaging them in evidence-based STEM practices and programs. 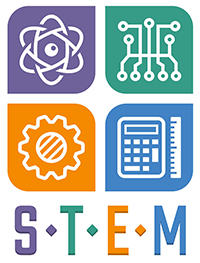 Goal 2: Strive for equity, diversity, and inclusion of STEM students and instructors by providing equitable opportunities for access and success. Goal 3: Ensure adequate numbers of STEM professionals. This resonates with the CBMS definition, “classroom practices that engage students in activities, such as reading, writing, discussion, or problem solving, that promote higher-order thinking” (https://www.cbmsweb.org/2016/07/active-learning-in-post-secondary-mathematics-education/). The point being to engage students in wrestling with the critical concepts while in class. Thus the emphasis is not on activity as such, but on the promotion of cognitive engagement in higher order thinking. A growing body of research indicates that many dimensions of current departmental and institutional cultures in higher education pose barriers to educators’ adoption of evidence- based educational practices (e.g., Dolan et al., 2016; Elrod and Kezar, 2015, 2016a, 2016b). For example, allowing each individual instructor full control over his or her course, including learning outcomes, a well-established norm in some STEM departments, can cause instructors to resist working with colleagues to establish shared learning goals for core courses, a process that is essential for improving teaching and learning. As I reported last February in "MAA Calculus Study: PtC Survey Results," there is very little departmental coordination around homework, exams, grades, or instructional approaches. Of course, the big issue for an institutional culture that values undergraduate STEM education is how teaching is evaluated and role it plays in decisions of promotion and tenure. What is deeply discouraging is how poorly most departments do with just questions of coordination.